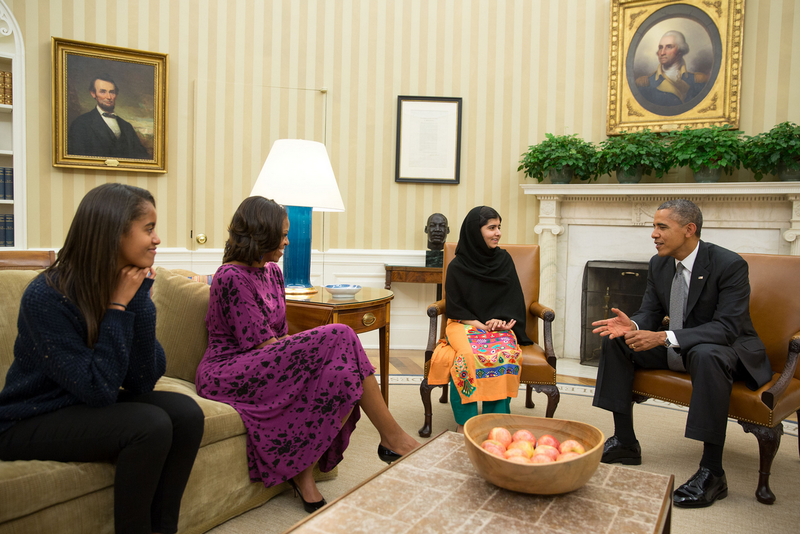 New York, Nov 13 (IANS) Pakistani education activist Malala Yousafzai and the elder daughter of US President Barack Obama, Malia, are on Time magazine’s list of 16 most influential teens of 2013 . The list, published Tuesday, took young people who have inspired the society by their work in various fields like music, sports, technology, science, writing and media. The magazine said that like her father’s second inaugural address, Malia, 15, and her sister, Sasha, act with the poise of adults. “President Obama often mentions his daughters in speeches, and says that they influenced his stance on gay marriage,” the magazine said. Malala Yousafzai was shot in the head and neck in an assassination attempt by the Taliban on the bus she was going home to from school in Pakistan in 2012. Malala was a target because of her vocal activism to better the education of girls under Taliban rule, Time said. After surviving the attack, the now-16-year-old didn’t hide in fear but strengthened her voice, it added. Malala received the Sakharov Prize and Clinton Global Citizen Award this year for freedom of speech. She was also nominated for the Nobel Peace prize 2013. Among others who figured on the list are singers Lorde, 17, and Justin Bieber, 19, actors Kiernan Shipka, 14, Chloe Grace Moretz, 16 and Hailee Steinfeld, 16, authors Maya Van Wagenen, 15, and Beth Reekles, 17, technology whizkid Nick D’Aloisio, 18, Olympic swimmer Missy Franklin, 18, fashion icon Dante de Blasio, 16, and scientist Ionut Budisteanu, 19.